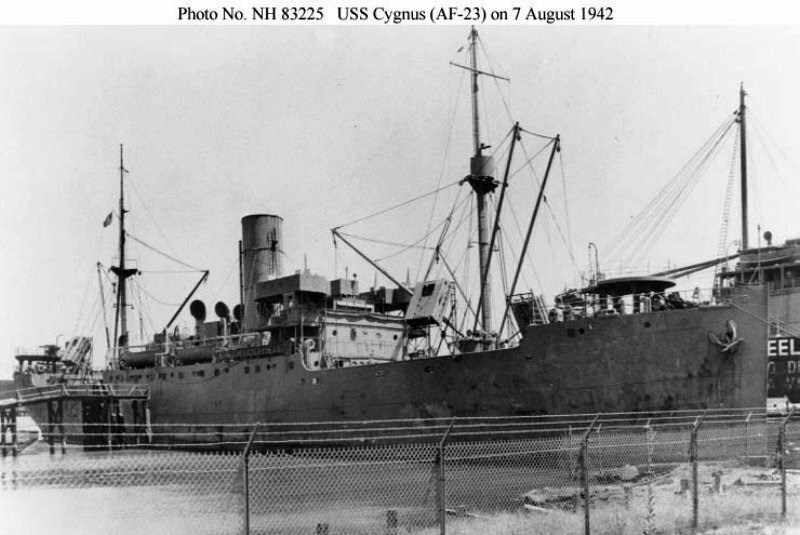 Operated by United Fruit Co.
Decommissioned, 18 July 1946, at New York, N.Y. and transferred to the Maritime Commission for re-delivery to United Fruit Co.
three recip-drive 200Kw 220V D.C.
one recip-drive 50Kw 220V D.C.
81k SS La Perla, 7 August 1942, a few days before acquisition by the Navy. 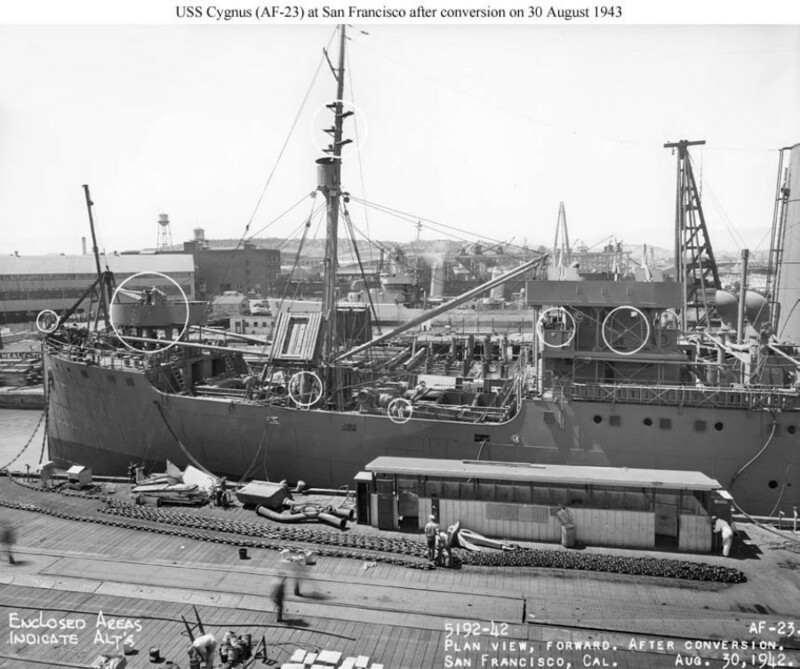 163k USS Cygnus (AF23) at Mare Island Navy Yard, 30 August 1943, after completion of conversion. The conversion alterations, circled in the photo, were relatively minor, the most conspicuous being the addition of vertical splinter protection around the gun positions fore and aft and the addition of two 20mm AA guns aft.